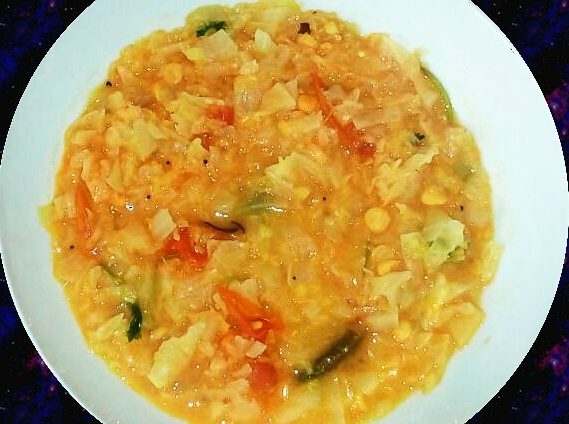 Yummy South Indian Coconut Chutney is a side dish is made with homely ingredients like coconut, oil, garlic etc. 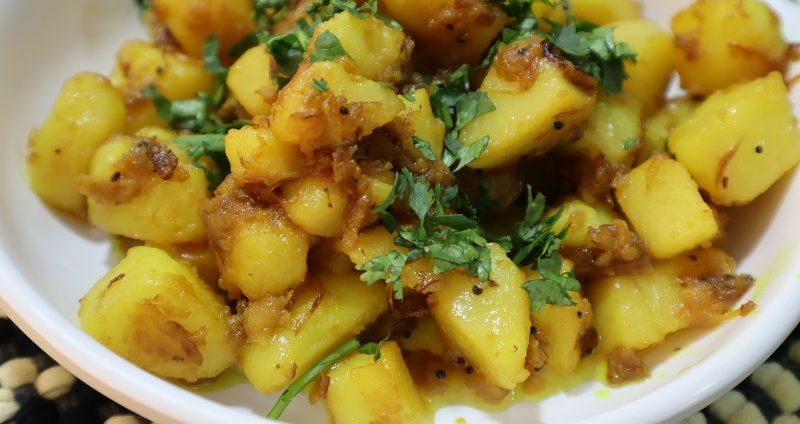 It is very easy and simple to make this chutney. Usually, South Indian Coconut Chutney is served along with South Indian dishes like Wada, Idli, Dosa etc. The lovely taste of South Indian Coconut Chutney is very delightful. I am very fond of South Indian Coconut Chutney. At my home, it is made in double quantity. I love the taste of it raw. I eat more chutney and less than the Idli. 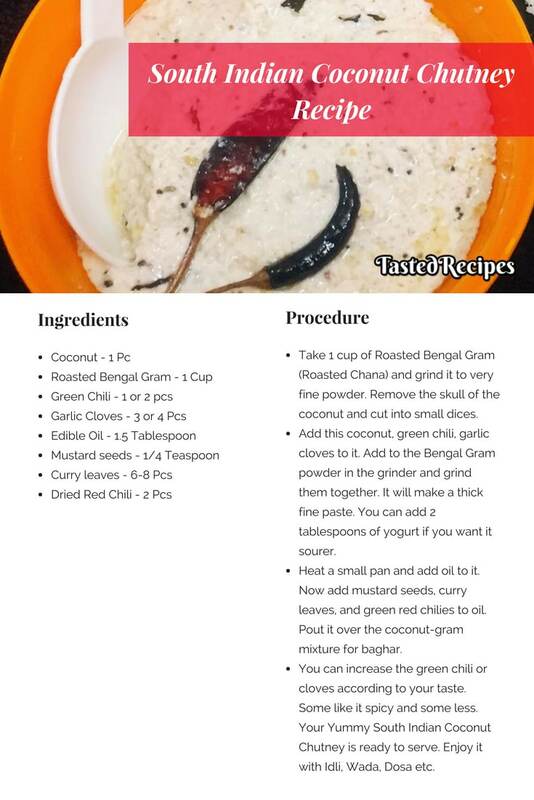 Take 1 cup of Roasted Bengal Gram (Roasted Chana) and grind it to very fine powder. Remove the skull of the coconut and cut into small dices. Add this coconut, green chili, garlic cloves to it. Add to the Bengal Gram powder in the grinder and grind them together. It will make a thick fine paste. You can add 2 tablespoons of yogurt if you want it sourer. Heat a small pan and add oil to it. Now add mustard seeds, curry leaves, and green red chilies to oil. Pout it over the coconut-gram mixture for baghar. 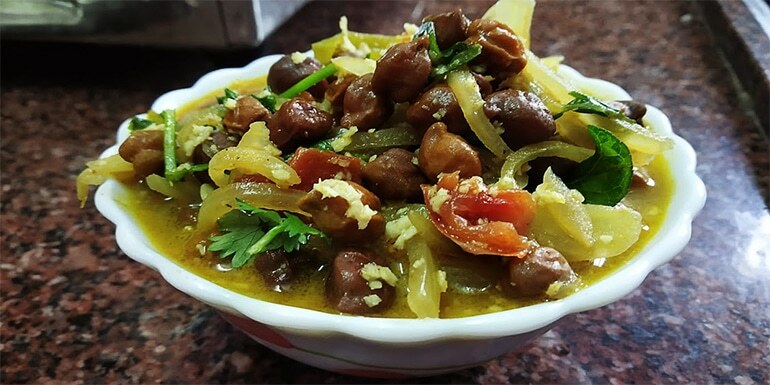 You can increase the green chili or cloves according to your taste. Some like it spicy and some less. 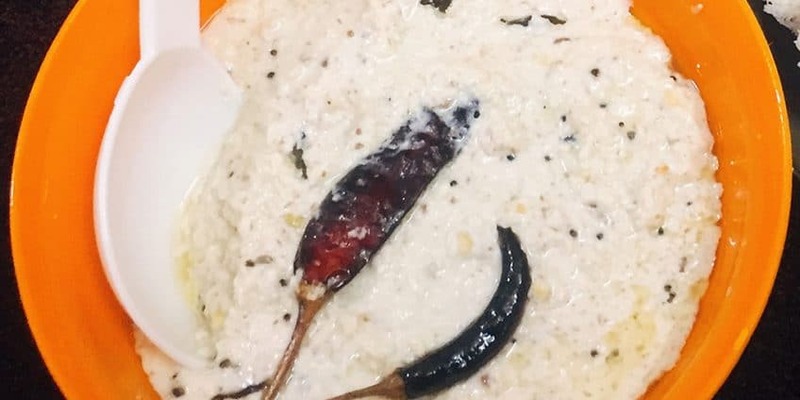 Your Yummy South Indian Coconut Chutney is ready to serve. Enjoy it with Idli, Wada, Dosa etc.